The last stop on our trip has likely the most popular and well-known glass igloos in Finland. The Kakslauttanen Arctic Resort is so large now that they have a West Village and an East Village that are a ten-minute drive from each other. We stayed at the newer West Village in a typical glass igloo. However, they also have log cabins and kelo-igloos; a hybrid of the cabin and glass igloo. There are even real snow igloos in the East Village. The large glass igloos have beds for up to four, a shower and toilet whereas the small ones only have room for two and a toilet. We stayed in #42, a large igloo in the last row with an unobstructed view of the forest. We were lucky and saw the northern lights both nights that we were at Kakslauttanen. It was nice being able to watch the lights while in bed in our cozy igloo. Breakfast is included and you can choose half-board or full-board when making a reservation. Dinner is a set three-course menu and on the nights we were there, dishes included salmon soup, sautéed reindeer, and fried pike perch. There are plenty of activities to choose from and they all take place at the resort. We went on a two-hour husky safari one morning and really enjoyed it. 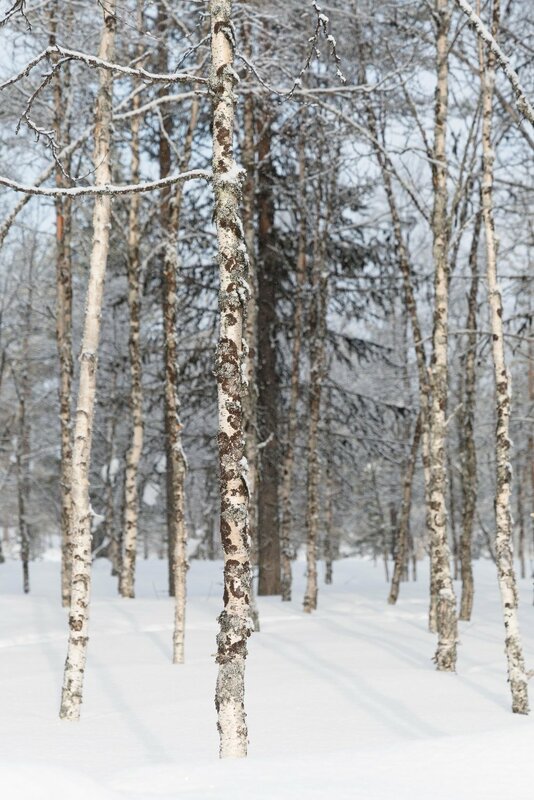 The trails weave through snow-covered trees and you have a real sense of being in the wilderness. Halfway through we stopped at a kota, a traditional Sami teepee, where we had some hot drinks and snacks and warmed up by the fire. We switched being driver and passenger on the sledge and headed back to the husky farm. Not far from the resort is the Kiilopää Fell Centre. You can ski on the surrounding fells or visit the traditional smoke sauna. We chose the later and discovered the Finnish way of alternating between the sauna and a swim in the ice cold waters outside. The extreme temperatures apparently improve circulation and strengthen your immune system. We are not sure if that is what happened but we definitely felt invigorated after taking a quick dip in the freezing river. This is a very large resort and unfortunately you lose the feeling of being in the middle of a very remote destination. However, the location is great and the igloos have a lot of glass for viewing the northern lights. We are glad to have experienced it but if we ever come back we would choose a more intimate to place to stay. 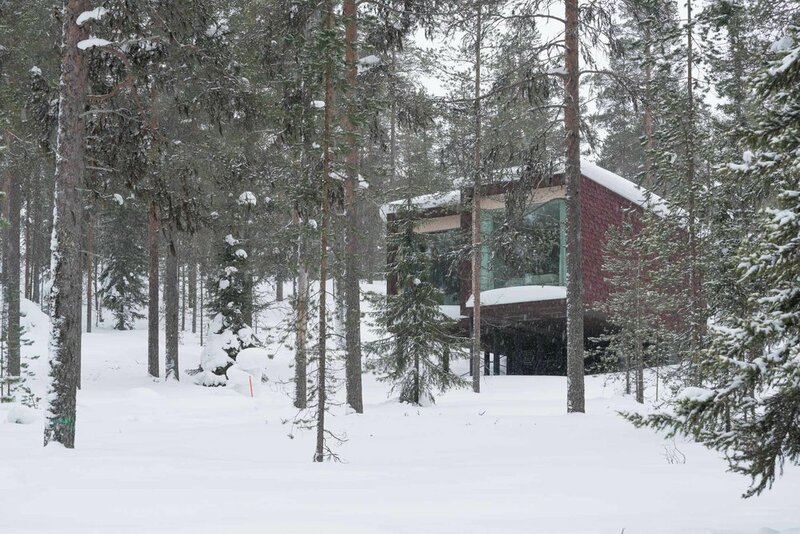 Nestled in the middle of a forest on the outskirts of Rovaniemi is the Arctic TreeHouse Hotel. There are 32 cube-like structures on stilts with a floor-to-ceiling window in the front (Arctic TreeHouse Suites) and five houses with their own private sauna (Arctic GlassHouses). Keeping in line with Scandanavian design, each suite is clean and sleek. The small space is cosy and well-designed; there is even a bunk bed for children hidden above the closet. The panoramic window was perfect for viewing the snow-covered trees during the day and the northern lights at night. It was exactly what we had imagined for our winter escape in Finland. There is a great restaurant on site, Rakas, where we dined on Lappish delicacies such as reindeer, fish and cloudberries. 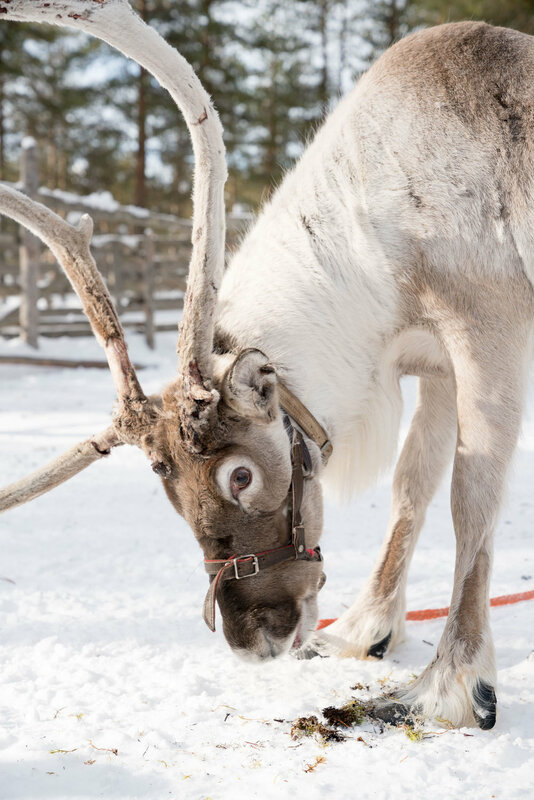 Lying on the Arctic Circle, Rovaniemi is among other things, the official home of Santa Claus. The Santa Claus village is as expected all about Christmas. 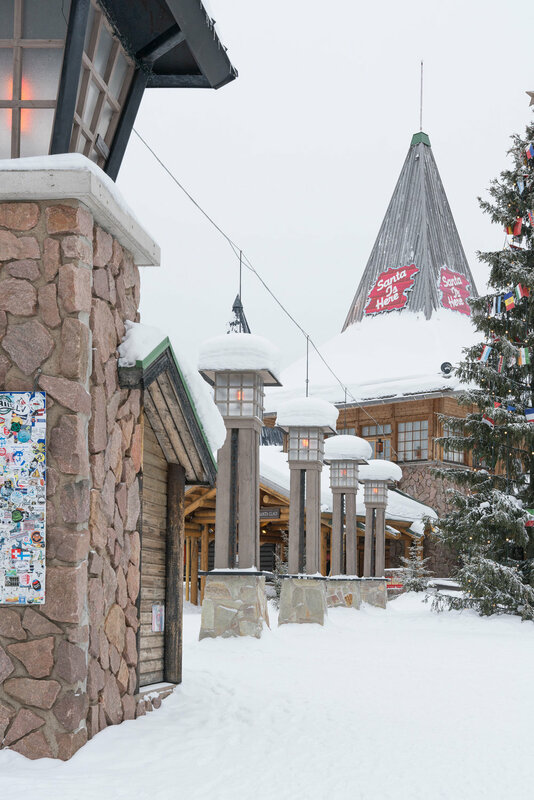 Open year-round, you can visit the man himself, shop for souvenirs or send a postcard from Santa's Post Office. You can also cross the Arctic Circle as you make your way from one side of the village to the other. Nearby you can visit a very different accommodation altogether. The Arctic SnowHotel is rebuilt each year with snow and ice. Each room is decorated with amazing ice sculptures and reliefs. We had a drink at the Ice Bar where our shots were served in ice glasses. There was even an Ice Sauna where we experienced frost and then extreme heat within seconds of pouring water onto the hot stones. Thank you Arctic Treehouse Hotel for providing support on our visit to Lapland. All opinions expressed are our own. I remember first seeing photos of the glass igloos in Lapland years ago and knowing we had to go there someday. Since then, these glass-dome structures have become increasingly popular in northern Finland. Undoubtedly some of the best ones are at Levin Iglut. 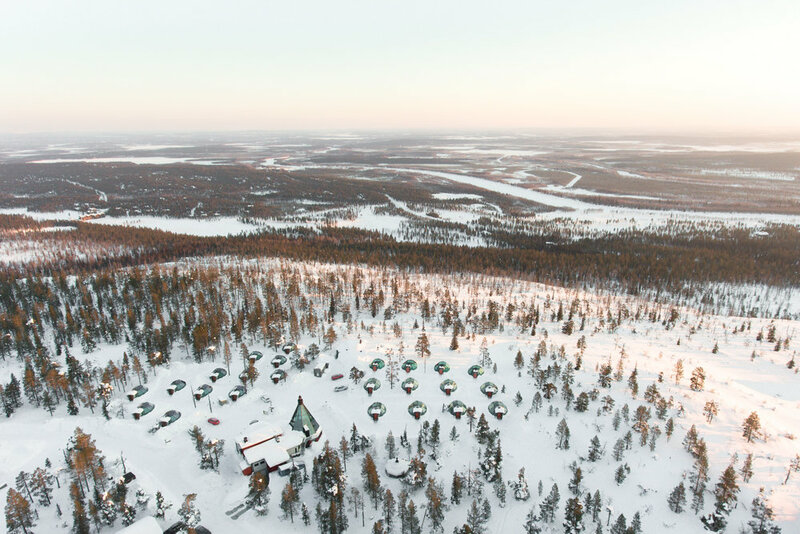 Located outside of Levi, the hotel is only a fifteen-minute drive from Kittilä airport. Each igloo has a bed, shower, toilet, kitchen and small sitting area. The beds are motorized so you can adjust the position for viewing the northern lights. Breakfast is included and served in their restaurant Aurora Sky. We ate dinner there one night and cooked our own meal over a fire in the kota the other night. In addition to the igloos, they have the Northern Lights House, which sleeps up to six people. It wasn't occupied when we were there so we were able to rent it for two hours that day to use the private sauna and outdoor hot tub overlooking the fell. I am glad we were finally able to cross this off our bucket list. Sleeping under the stars and watching the northern lights from our warm cozy bed is an experience we'll never forget. 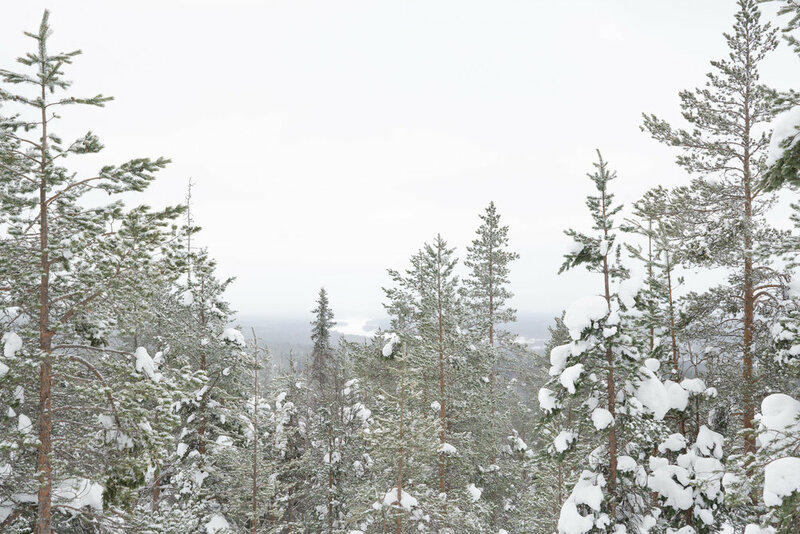 Levi is Lapland's largest ski resort so naturally there are lots of winter activities nearby. We went on a snowmobile safari for the first time and it was really fun. Our tour took us to a reindeer farm where we went on a short sleigh ride and fed the reindeer. After warming up with a drink and snack, we switched who was driving on the snowmobile and headed back into town. Lapland is a remote and sparsely populated region that includes northern Finland. Sitting above the Arctic Circle, there are days in the year when the sun does not set and days when the sun does not rise. We went in March so we could experience a Lappish winter while still having some light during the day for activities. There are a few airport options available in Lapland, but in order to get there you will likely need to transfer via Helsinki. We flew into Kittilä, which is near Levi and out of Ivalo airport, a half-hour drive from Saariselkä. The best way to get around Lapland is by renting a car, although there are busses that will take you between towns. With the amount of snow and ice it is best to have some winter driving experience if going by car. 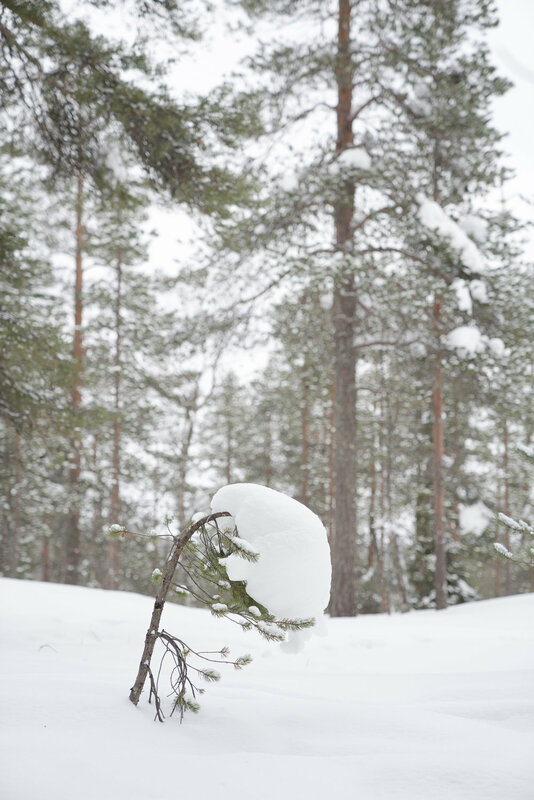 There are numerous winter activities to experience in Lapland. The usual activities include dogsledding, reindeer sleigh rides, snowmobiling, snowshoeing, and of course, northern lights hunting. March is a great time of year to catch the lights as the skies are typically more clear and the nights are still long. Also, it is around the time of the spring equinox which is usually when the lights are stronger. We were lucky enough to see the northern lights five out of the eight nights we were there.